The very best companies and organizations realize that marketing is a core component for success and they place its importance at a high level within their operation. So why do so many smaller organizations only consider marketing efforts as secondary, or as an after-thought? Risk is inherent in all business and it's those businesses and organizations who minimize their risk that find themselves opposite (or, separated) from the unsuccessful. Minimizing your risk means being smart with your marketing budget. You need to focus on what is working and keep doing that until it doesn’t work anymore. An effective marketing strategy should be at the core of your fundraising activities. While sometimes a great idea may appear from out of the blue, effective strategies are typically developed only after a great deal of research. Understanding your "market" and separating yourself from your 'competitors" with a unique value proposition is the first step in developing your strategy. Armed with this positioning, your next step is to create a blueprint designed to inform your target audience(s) as to why you're so awesome. And, that’s where a marketing plan comes in. Those organizations without clear marketing plans find that their marketing tends to be reactive, unstructured, and usually ineffective. "If you can't describe what you are doing as a process, you do not know what you are doing." The trouble with the marketing efforts at many organizations is they are typically only implemented when their backs are against the wall. An effective marketing plan is on-going and dynamic; it expands and contracts as you learn from your measurement activities. It's these metrics, which help you understand if your message is effective. It's a process that should evolve as you and your audience progress. Marketing without a plan is a risky gamble; marketing with a dynamic plan can minimize your risk and potentially pay off big. Here are the core components: 1) Research your "market", 2) develop a strategy, 3) set a budget, 4) identify best tactics, 5) implement the plan, 6) measure your effectiveness, 7) research, refine, & refresh, 8) stir and continue. 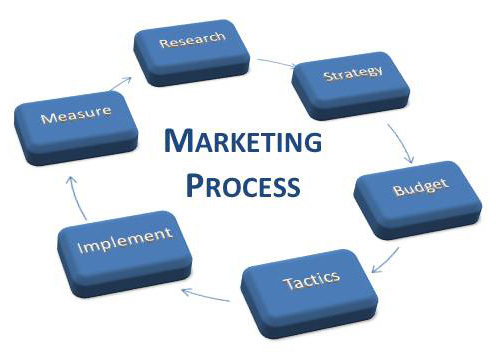 One last thing, a marketing plan can have several campaigns. Campaigns are well thought out methods of attracting donors, constituents, new stakeholders, or informing the general public. All campaigns have a goal and they clearly state what happens next. This is important because it keeps all your stakeholders on the same page delivering a consistent message and persistent experience. This reinforces and solidifies your brand in the minds of your community. Running an organization can be a risky business, but nonprofits can mitigate their risk with knowledge. Don’t risk everything on the roll of the dice, or the toss of a coin. Improve your core strength by planning for success.